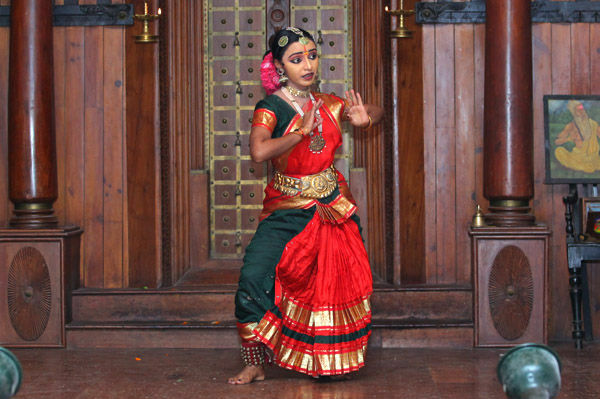 Mohiniyattam is a dance form said to have originated in Kerala. 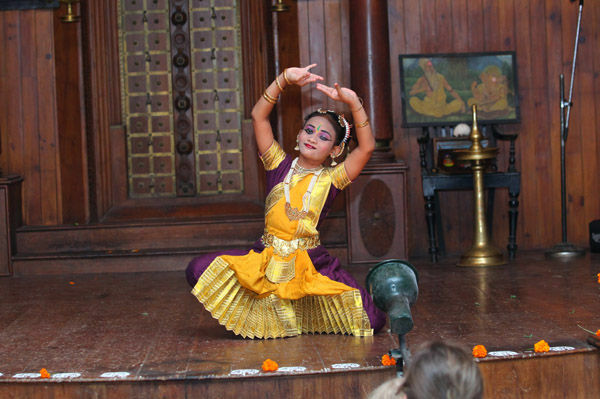 It is closely related to Bharatanatyam of Tamil Nadu, Mohiniyattamwhich was originally called 'Dasiyattam'. Originated as the temple dance performed by Devadasis, it portrays feminine love in its myriad forms - carnal, devotional and maternal- with an accent more on Lasya and Bhava. In the main items Cholkettu, Padavarnam and Padam, Mudras and facial expressions are more important than the rhythmic steps. Costumes and ornaments of Mohiniyattam have much in common with female characters of Koodiyattam and Kathakali. The art of creating very large pictures Kalamezhuthuon floor, with colored powders have been in vogue for ages as a ritual art form. It is typically Indian as it is a harmonic blend of Arian, Dravidian and Tribal traditions. As an art form, it has found a significant place among our rich spectrum of fine arts. In most other parts of India, this art exists as a domestic routine of Hindus, who consider it auspicious to draw certain patterns at the doorstep and courtyard to welcome a deity into the house. It is called by names like Rangoli, Kolam etc. Kalamezhuthu is a unique form of this art found only in Kerala. Here it is essentially a temple art. The patterns to be drawn and the colors chosen are traditionally stipulated, and the tradition is strictly adhered to.